Most investment companies have cut their advertising budgets over the last four years. Findings from ad agency MMS showed that national press advertising by fund firms sank from £37.9m in 2000 to £6.9m last year following the implosion of Isa sales. New Star has bucked the trend, continuing with advertising since its launch in July 2001 regardless of unforgiving market conditions. Industry sources suggest its spend for 2004 will be around £3m. Marketing director retail Rob Page says: “If you stop advertising one year, awareness levels fall not by 20 per cent but by 90 per cent.” He believes advertising strat-egies by some fund firms have followed the same flawed logic as wary investors – they have drawn back when markets are down. Hargreaves Lansdown investment manager Ben Yearsley believes New Star&#39s success may in part be because its ads were in the right place at the right time. “New Star seemed to be everywhere – billboards, national press, trade press, all throughout the bear market when everyone else was pulling back,” he says. Selestia does not run blanket ad campaigns or ongoing brand-building exercises but is most likely to spend its budget of no more than £250,000 to draw IFAs&#39 attention to particular achievements, such as a recent award. For some companies, the relationship between mass brand building and sales is not convincing enough. Scottish Widows Investment Partnership relies largely on direct mail and advertisements in the trade press which target intermediaries. It may run two or three campaigns a year rather than blanket coverage throughout and has no plans for billboards. Poor investment conditions coupled with the difficulty of proving the effectiveness of campaigns are largely to blame for the change in fortunes of advertising but many feel new FSA advertising rules cannot have boosted the chances of recovery. From June, the use of past performance in advertising to investors has been banned unless it is used within strict boundaries which standardise the presentation of fund data. Fund firms have been forced to think a lot harder about their advertising messages. He says New Star attributes its sales success to having the right funds at the right stage in the economic cycle, as well as promoting the investment freedom of fund managers in its ads. Advisers seem to believe direct consumer ads are effective in boosting sales but are less convinced of the impact of campaigns specifically targeted at them. Bates Investment Services head of investment strategy James Dalby says advertising direct to the public does not generate client traffic but fund managers that invest in brand awareness campaigns are more easily received when their funds are discussed by advisers. Dalby says brand building might not be as persuasive as positive editorial coverage in personal finance sections of national newspapers. Direct advertising is a worthwhile exercise, from Yearsley&#39s point of view, but, in common with many investment IFAs, he believes he is somewhat impervious to the power of advertising. Gleave makes the point that while most consumers will argue they are not swayed by advertising, across all sectors, sales figures might tell a different story. Jelf Employee Benefits highlights new legislation, key requirements and policy considerations when structuring international private medical insurance (IPMI) for expatriate employees in Qatar. 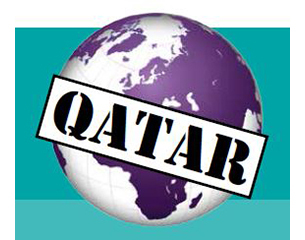 This edition will be of particular interest to global human resource directors, compensation and benefits specialists and mobility managers who have employee populations in Qatar.